Outside, under cover of shopping and fun area were Bric-a-Bric, Pocket Money Toys Tent, Tombola, Bar Tent and of course Craft, Books and Plants tent. In addition budding year 1 to 6 journalists shared wide ranging views of of ‘what green means’ to them with readers of the Summer Fair Journal. 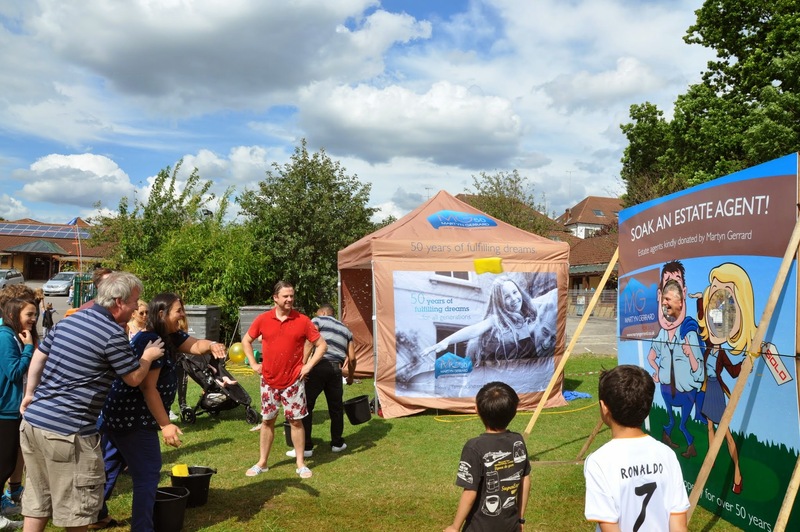 The programme spread over three hours on Sunday July 6 2014 music by Cover Star, event sponsors Estate Agents (Martyn Gerrard Finchley Central London) seemed to enjoy having their faces bulls-eyed by water soakists. 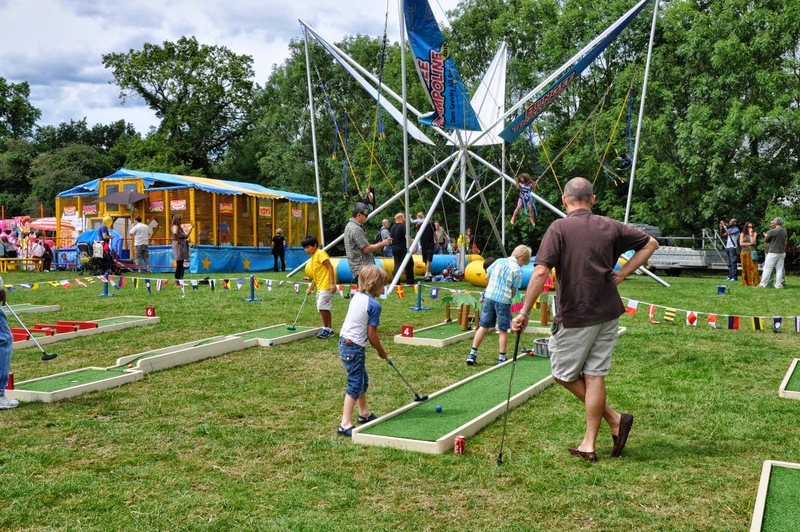 People trying out their Archery and Crazy Golfing skills were susceptible to Novak Djokovic winning a third set tie-break against Roger Federer at Wimbledon men’s final. Parents, school friends and visitors, who were ‘Up for Auction’, mentally dashed between the auction, ‘Raffle Draw Prizes‘ process and the Bar with Tennis and state of play on the TV Screen. Visitors were entertained by Novak Djokovic and Roger Federer whilst the probability of winning a range of interesting prizes might have excited some. 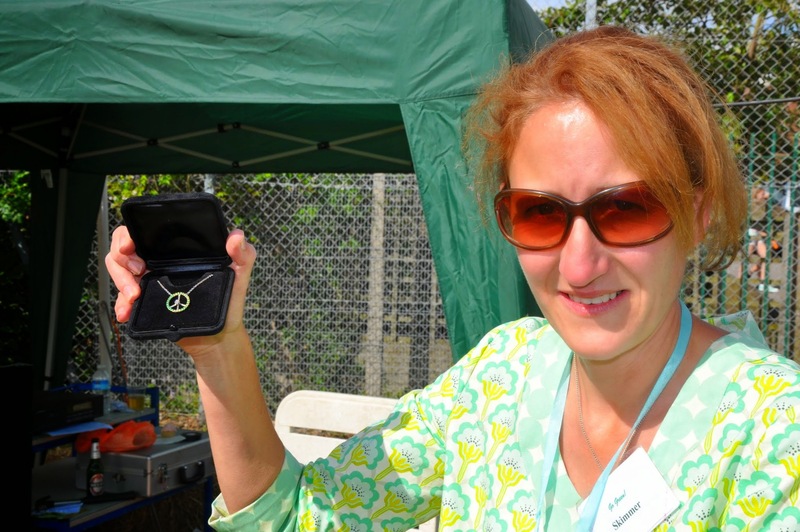 Across the field football matches were in rotational progress while an exceptional White and Gold Peace Pendant, valued at £2000.00 took centre stage as ‘first’ prize to kick raffle draw proceedings into play. 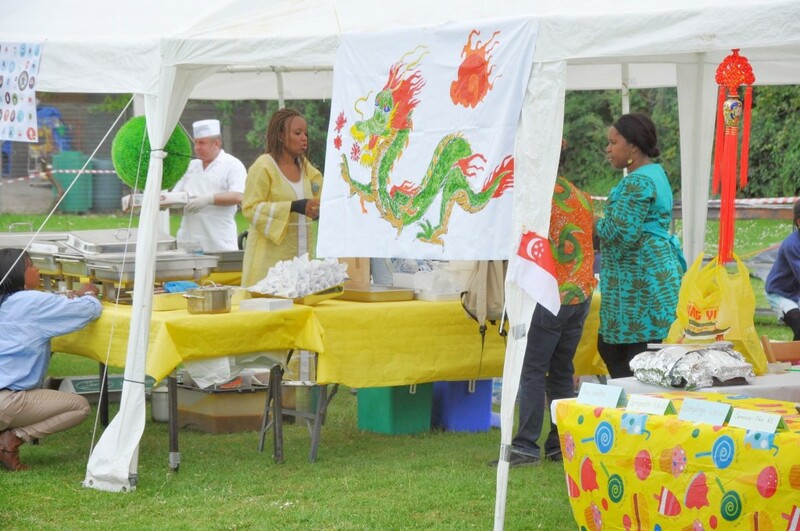 Several food stalls selling international cuisine from locals foodies Finchley Kitchen, Turkish flavour makers Izgara and parent group managed food stalls such as Afro-Caribbean, Japanese, Chinese giving geographical contrasts to recipe were popular. An unusual and interesting addition to the fair was The Karate Centre who had young Karatekas sparring with experienced colleagues as a demo. With Coverstar’s background instrumentals the scene could have been a stage set of a Capoeira (Brazilian martial art that combines elements of dance, acrobatics and music) inspired musical. 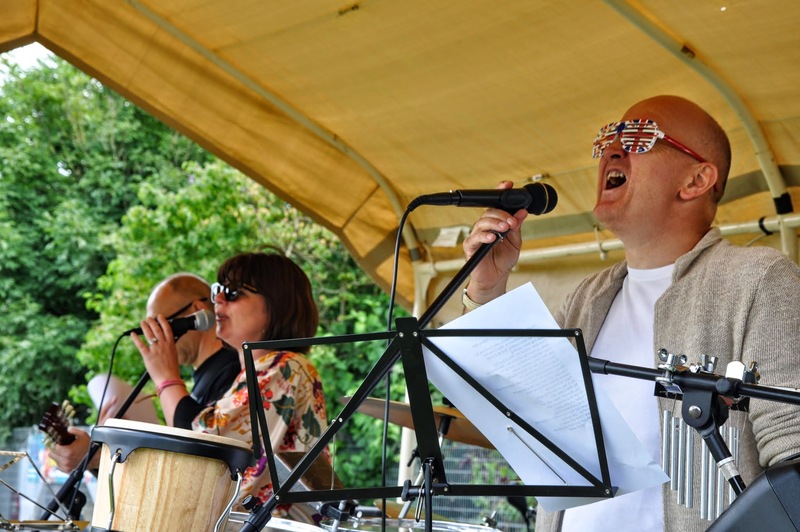 With the the sun coming out some more, Cover Star seemed to know what tunes to play as a set piece to the final event of the day, the drawing of raffle tickets. We are pleased to have been involved with colleagues (St. Mary’s Friends Association) on the Summer Fair Committee for this event where some compelling prizes were donated by local companies enabling St. Mary’s CE Primary School Finchley Central to raise over £12000 towards, modernising the school’s computing and IT infrastructure, supporting educational school trips, international knowledge exchange programme and subsidising future learning initiatives. Colleagues on the committee combined design thinking, visual prototyping and communication skills with a participatory approach to co-producing ideas for everything from parent awareness material about the fair, sketch concepts for community engagement, fair journal, Finchley Central Station Ads, flyers, banners and approaches for raising awareness of the Summer Fair locally. It turned out to be a pleasant and productive day for everyone; a thoughtful way to raise money, engage parents to create value collaboratively and bring our local community together. 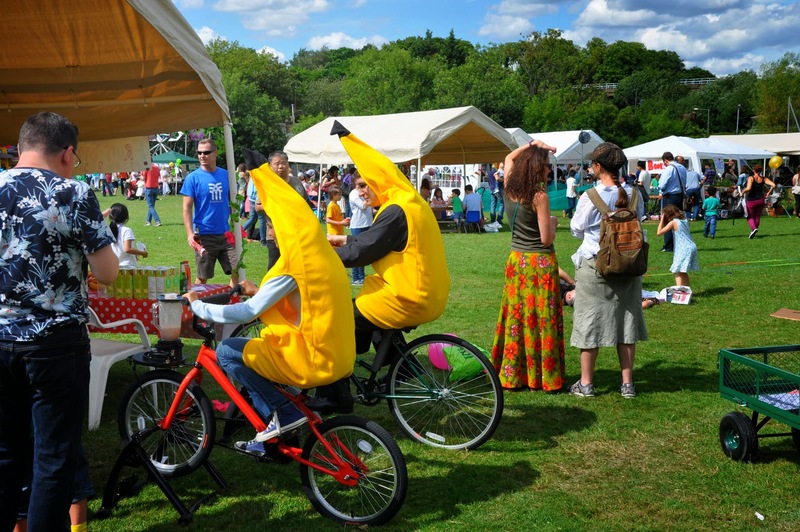 Chair of St. Marys Friends Association: Gabi Brais Summer Fair Commitee: Helen Bevan, Nicki Lang, Alethea Bradley, Jelena Atkinson & Julian Trevelyan. Publicity: Agnes Gitau. Editorial: Joel Ricket. Creative Direction: Ayodeji Alaka. Production Design: Angela Lyons. Logistics: Gary Newby. Field Co-ordinator: Mike McMahon. Field Assistant: Paul Simpson.